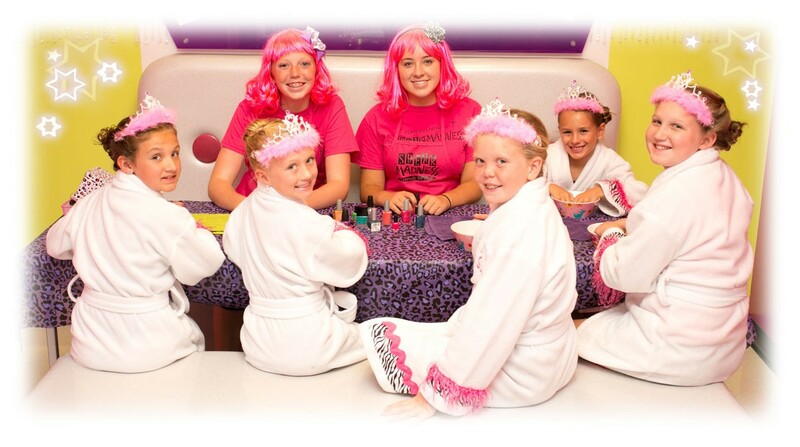 Girl DIVA Birthday Parties: Your special little diva and five of her closest friends wear our LA-DE-DA Spa robes while being pampered with a Pretty Princess or Rock Star Rebel up-do, painted nails, glittery makeup and topped with a tiara. After their makeover, each girl gets to shop for their very own headband off our “black headband” rack to keep. Last but not least we finish the party with a group photo on a special keepsake scrapbook page for our Birthday Diva! Birthday party for 6 starts at $200. Additional girls may be added to the party for $25 per each additional child (12 girls max). We’d love to help make your child’s birthday a special day with his or her friends. To book your DIVA or SUPER HERO birthday party please call (281)612-4400! A note on cancellations: Rarely do we have party cancellations, HOWEVER if you must re-schedule or cancel your party reservation you MUST do so no later than 21 days prior to your reservation – or you will lose your deposit. If you have any questions please contact your location for details.